A girl who was forced into prostitution following her migration to Europe is photographed. Millions of children are on the move across international borders, fleeing violence and conflict, disaster or poverty, in pursuit of a better life. When they encounter few opportunities to move legally, sometimes children resort to dangerous routes and engage smugglers to help them cross borders. Migrants are considered particularly vulnerable to exploitation. 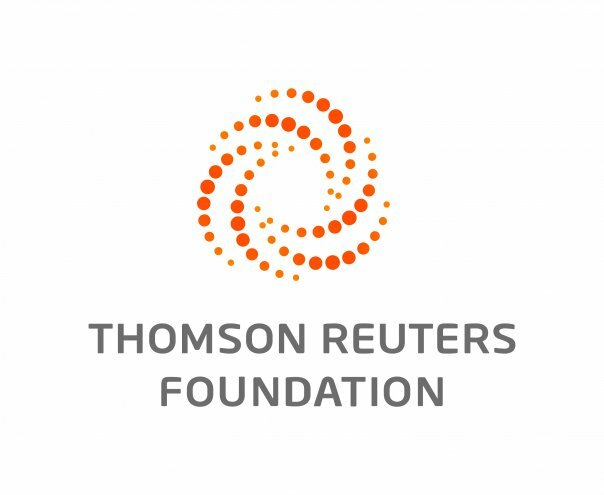 LONDON, Dec 11 (Thomson Reuters Foundation) — Anti-slavery activists on Tuesday hailed a United Nations global pact on migrants as a potential milestone in the fight against human trafficking, but warned a lack of detail left millions at risk. On Monday the vast majority of UN members signed a deal aimed at improving the way the world copes with rising migration, but almost 30 stayed away from the ceremony in Morocco due to disagreement over its contents. The accord, which addresses issues such as how to integrate migrants and send them home, has been criticized by mostly right-wing European politicians who say it could increase immigration. Yet the text found supporters among anti-trafficking groups for laying out steps that countries should take to protect migrants from exploitation and abuse — filling a gap in international cooperation on the issue. The UN deal commits signatories to ensure migrant workers are recruited in a fair and ethical way, and suggests a number of possible actions, including banning recruitment fees and boosting police controls. "This is a remarkable milestone," said Phil Bloomer executive director of the London-based Business and Human Rights Resource Centre (BHRRC). The modern-day slave trade affects an estimated 40 million people worldwide and reaps some $150 billion each year in illegal profits for traffickers, according to the UN, which has set a 2030 target for ending the scourge. Migrants are considered particularly vulnerable as they often incur high debts to fund their journeys and do not have the right papers to work upon arriving in a new country. Many end up toiling long hours for little pay in the supply chains of global companies producing anything from food to laptops to clothing, said Bloomer. "That has essentially been allowed because of the lack of coordination between states around the issue of migration that allowed traffickers to thrive," he told the Thomson Reuters Foundation by phone. "The fact that 164 nations have come together to start to commit collectively to tighten legislation to prevent trafficking is fundamentally important." The scale of the deal's potential impact is vast. "It's time to reject the widely-held idea that this group — numbering around 150 million — can be routinely treated as lesser human beings in their countries of work," said lawyer and slavery expert Anne Gallagher. "That won't happen overnight but progress can and should be made: for example in reducing the vulnerability of migrant workers to exploitation by extending to them the protection of local labour laws." The text also calls on nations to treat people smuggling and human trafficking differently and strengthen international cooperation to tackle the latter by sharing intelligence and providing trafficking victims with protection and assistance. Activists have warned that by closing their doors to migrants and tarnishing them as criminals, some countries are pushing them in the hands of traffickers. But the devil is in the details, according to Nicola Jones a research fellow at the Overseas Development Institute (ODI), a British think tank, who said the deal did not set clear targets or give precise information on its implementation and funding. "Details at the end on follow up and implementation are quite weak," she said. "What's missing is really some kind of enforceability. We have to have some clear milestones and targets that have to be monitored". At the moment there was nothing in the text that would compel countries to do anything about human trafficking, she said. All 193 UN members except the United States agreed its wording in July, but only 164 formally ratified it at a ceremony in Marrakesh. Among the many critics, US President Donald Trump's administration said the global approach to the issue was not compatible with US sovereignty. Austria, Chile, and Brasil said they would pull out, saying respectively that the pact blurred the line between legal and illegal migration, that migration was not a human right and nations should set their own policies. Australia said it would not sign up as the deal would compromise its hardline immigration policy. "It's a non-binding agreement, and quite a few countries haven't signed it, which is disappointing," said Jakub Sobik of Anti-Slavery International. "A huge amount of work is still ahead of us to make migration a less politically charged issue, so that migrant can be protected from exploitation and discrimination — it really shouldn't be that complicated."